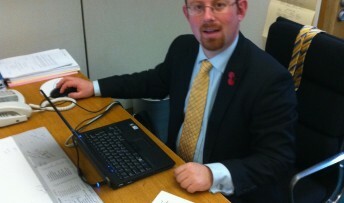 MP Julian Huppert will press Health Minister Norman Lamb on the government’s strategy to help adults with autism after fears that many are still not getting the help they need. Julian will ask Mr Lamb when the next review of progress will take place after reports suggest the strategy has been slow to put into practice. The Adult Autism Strategy was published in March 2010 after Parliament passed the Autism Act the year before. Julian’s predecessor, Lib Dem MP David Howarth was instrumental in getting the strategy published. It puts a legal obligation on local authorities and the NHS to provide support for people with autism. “This strategy was a breakthrough for adults suffering from autism and Aspergers Syndrome who faced problems getting the support they need,” said Julian, who will raise the issue today (Wednesday, January 29) at the All Party Parliamentary Group on Autism. “But I am concerned that it is not being implemented as fast as it could be and I want to know when the next review will take place so that we can see how much work still needs to be done. Recent research by the National Autistic Society found that 70 per said of adults with autism and their carers were not receiving the help they needed from social services and only 10 per cent said they received social skills training when 55 per cent said they would like to receive it. Only 10 per cent of those surveyed said they received employment support while 53 per cent said they would like to receive it.